Huntress tells the story of two girls' journey to meet and confront the faery queen, who has condemned their world to eternal winter. Through their hardships, they realise that the love they feel for each other, cannot be denied. Huntress is a fantasy book through and through. The world that Lo has created is very well thought out and beautifully written. 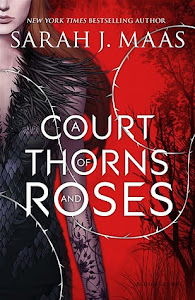 Being a prequel to Lo's debut, Ash, the story in this one is a bit more complex and somewhat more somber than the one in Ash, which I thought had more of a "fairy tale" touch to it. In Huntress everything has to do with the success of the quest(to save the world from dying)and the journey. However, as in Ash, Lo's writing is amazing, balancing suspense, danger and romance beautifully. Kaede and Taisin are very strong and admirable characters. Their love story is utterly believable, one that you don't feel that has been added to the book just for show. Despite the fact that they come from completely different backgrounds and their personalities differ vastly, you just know right from the start that they click and they are meant for each other. The chemistry between them is undeniable. 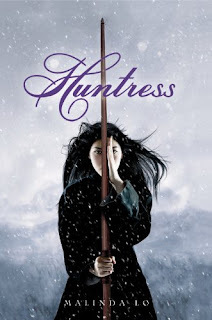 Although I felt that it was slow-paced at points, because the journey was long and fully detailed, overall I think that Huntress is a wonderful book, full of magic and sweet romance. If you liked Ash, you'll love this one!